Contains model prayers, prayer outlines, and other helps for incorporating prayer into worship. 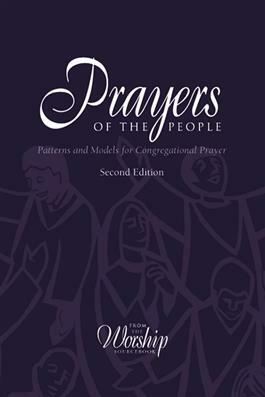 Prayers of the Peoplecontains model prayers and prayer outlines, helpsfor praying extemporaneously, and suggestions for how to invite people to prayer, gather prayer requests, andpray about sensitive topics. Whether you're a novice or a regular prayer leader, whether you wish to simply read a prayer or create your own, you'll find everything you need in this collection. The contents of this book are excerpted from the second edition of The Worship Sourcebook and originate from a wide range ofsources.